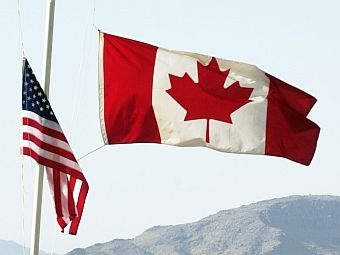 Canada and the United States tend to agree on most everything. But Canada has taken a different tack on wars in Iraq and Vietnam. And there are also differences of opinion on trade and energy. So is it a perfect marriage between the two countries separated by the 49th Parallel? A conference convenes in Montreal this week to answer the question. We hear from McGill University Professor Gil Troy and David Biette, director of the Canada Institute at the Woodrow Wilson Center, on the nature of the relationship between the two countries. Plus, Montreal’s charter calls it "a French-speaking city," but a recent survey conducted by the Association of Canadian Studies found that 81% of Quebecers thinks it’s bilingual. We hear from those living in Montreal about what they think. And, VPR’s Bob Kinzel provides an update on what’s going on in the State House during this 71st biennial session of the Legislature. McGill Conference "Canada and the United States"
Native Vermonter Abby Paige explores French-Canadian heritage in her one-woman play "Piecework…When We Were French".